Dr. Ritvik Mehta, board-certified plastic surgeon, is the founder of the premiere cosmetic practice, Blue Illusion. Dr. Mehta received his medical degree from the University of California San Diego School of Medicine. He then went on to Harvard Medical School where he completed his internship in General Surgery and residency in Otolaryngology / Head and Neck Surgery. While at Harvard, Dr. Mehta chose to pursue advanced training in Facial Plastic and Reconstructive Surgery / Facial Nerve Disorders. Dr. Mehta is truly a compassionate and caring physician who has a deep interest in providing the best possible care for his patients. His practice focuses on aesthetic surgery of the face and neck. His expertise on the facial nerve ensures the utmost safety during any facial procedure. He has co-authored numerous publications (see below) and travels nationally and internationally to give scientific presentations. 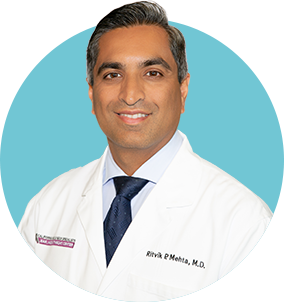 Dr. Mehta is also dual board certified facial plastic surgeon by the American Board of Otolaryngology and the American Board of Facial Plastic and Reconstructive Surgery. 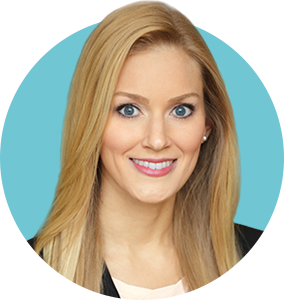 Dr. Kiersten L. Riedler is a board certified otolaryngologist and fellowship trained facial plastic and reconstructive surgeon. She was born and raised in San Diego and graduated from Harvard University with honors in neurobiology. After earning her medical degree from the University of Southern California, she completed a rigorous five-year residency program in otolaryngology – head and neck surgery at the University of Southern California. She then went on to complete an additional year of fellowship training in facial plastic and reconstructive surgery. Dr. Riedler’s aesthetic eye, meticulous attention to detail and genuine compassion are key to her customized approach to each patient. She looks forward to hearing your goals and helping you achieve natural, beautiful results.